Why Should You Use a VPN with the Tor Browser ? Our privacy and anonymity online are very important, maybe you have known how to use a VPN to protect your security. But how about Tor browser? Using VPN and Tor browser together provides us the maximum security. The full name of “Tor” is The Onion Router, and it aims to encrypt your data multiple times like Onion. The Tor browser looks just like a normal web browser. It is very easy to use. The biggest difference is that the Tor browser will connect to the internet through their own network. 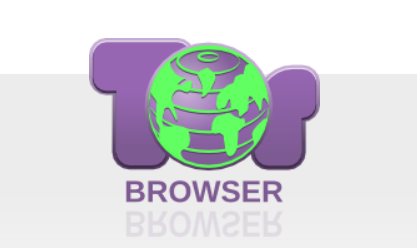 Tor Browser can help you access the network anonymously. In order to hide your identity and IP address, your traffic will be randomly assigned. Like VPN, Tor is also a tool for protecting your privacy. However, VPNs use completely different technologies. The most important thing is that even if the Tor browser is not a VPN, you can use both VPN and Tor to maximize your online security. How Can You Use a VPN with Tor? The Tor browser is a particularly effective tool, but the security level it provides is not as high as the VPN proxy. It doesn’t matter, you can use both of them at the same time. There are two ways to use both Tor and VPN. In this method, you will connect to the VPN first and then access the TOR’s network. What you need to do is open the VPN and then open the Tor browser. This approach provides adequate security and privacy for most people. Another benefit of this approach is that your data is encrypted via VPN before opening Tor. Even Tor’s staff won’t know your real IP address. But this method has a drawback, it doesn’t protect you from malicious exit nodes. This method requires first connecting to the Tor network and then using the VPN. This way is more complicated than the previous method because you need to manually configure the VPN setting. The downside is that although your activity is hidden, the government still can find that you are using Tor. By the way, this method can also hide the real IP address from the VPN providers. Although these two methods are not perfect, Tor is a powerful and effective tool that protects your privacy and online security. If you are using the Tor browser, we recommend that you use a VPN at the same time. And VPN itself can provide excellent security. If you are looking for a trusted, reliable VPN to protect your privacy, UFO VPN is a good choice.